I now have six dolls and 1 three doll bunk bed so I use the boxes they came in (layered then in felt) and put a blanket and pillow on the box. It is really good for a bed! That is a lot of dolls 24! Are you going to take a photo story of them being introduced? Oh, yeah that does make a good bed! I know, I can’t believe I have that many! I only have 1 doll(Saige) and she sleeps in the box she came in. I just put a blanket and pillow in there and…Ta-Da! A doll bed! Wow! You have so many – and they’re all just too adorable! Poor Elijah, having to live with 18″ girl “cooties” LOLOL! I am going to turn their boxes they were sleeping in, into…hmm…..maybe a shower? now, I’m turning the box that Kit’s bed came in to be a shower. I KNOW! A MINI DOLL HOTEL! OK, crafting inspiration here, Bye ya’ll and Merry Christmas! Love the photo, it’s just too pretty and CU-UUUTE! i got some fun ag stuff for xmas and here they are; rebeccas lavender outfit, her pjs, saiges acceoies, coconut the pup, and …… drumroll……. josaphina! i have wanted her for a while… by the way itsactually mini doll. merry christmas! Hello! Sorry to bug you and stuff but I’m letting you know I’m changing my name to Grace Ag lover. It looks better without many capitals. Lol! It sounds as if I’m CHANGING my real name LOLOL! So which AG dolls do you have? Sorry haven’t followed you for very long so I don’t know. LOLOL! Wow, that would be a lot of tucking in! P.S. Oh okay! Just wanted to make sure it hasn’t become annoying or anything lol. my mom said that i could set up an etsy shop when i am a little older to sell my stuff. is it hard to set one up? i sew, knit, and crochet, and i think it would be super fun. DOLLY PARADISE! CAN I LIVE WITH YOU? PLEEAAASSEEE? Do you love all your dolls the same? I’m afraid that if I get Isabelle, Ivy, and MAG #33 (the dolls on my wishlist) they’ll become less special to me because I’d have so many. 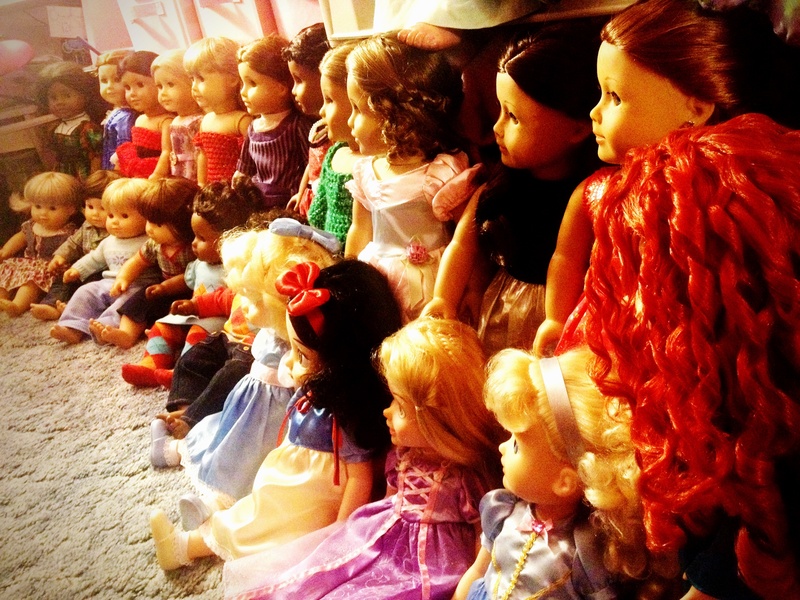 I have Samantha, Mia, Julie mini, an our generation doll, a bitty baby and a handful of just baby dolls. I also have a MAG- she had honey colored curly shoulder length hair and hazel eyes.